If you are looking for help and advice prior to ordering one of our products, take a look at some of the frequently asked questions below to see if your query is answered. 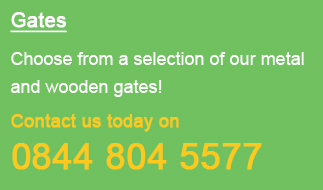 We offer a wide selection of wooden gates and metal gates in a wide variety of modern and traditional designs. Available in hundreds of size combinations and an endless range of made to measure sizes we are confident there are adequate options available to meet the needs of all residential properties at an affordable price. To complement these products we also have a variety of metal railings and fence panels that are available to order online that will provide an effective means of securing the perimeter of your property whilst retaining an aesthetically pleasing appearance. Metal Gates, Fencing and Railings - Unless stated otherwise these products are supplied in a black primer finish and will need to be finished with a minimum of 2 coats of high quality enamel paint to ensure proper levels of protection against the UK weather. Please note we recommend you do this prior to installation as this will prove far easier and you will achieve more professional results. Where required we can also offer a factory painted option removing the need for finishing prior to installation. This is an increasingly popular service and as such should you wish to take advantage of this offer please contact us to obtain a price for the particular product you are interested in. 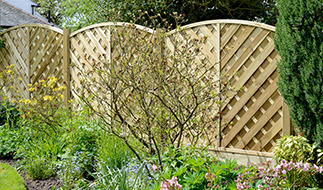 Wooden Gates - Unless the product description states otherwise, all timber products are supplied in a smooth planed natural finish ready for painting, staining or varnishing to the desired shade or colour. Please note that in order to achieve the best levels of protection against the elements we suggest you apply the finish prior to attaching any hinges or fittings as these areas can become prone to rot if not properly protected. Our range of high quality products are manufactured from a variety of materials including metal and timber or in some cases a combination of the 2 materials. To find out the exact specification of the gate, fence or railing you are interested in purchasing please look out for this information within each product description. With products ranging in design from lightweight ornamental gates through to heavy duty wrought iron style gates please ensure you fully understand that each product will achieve varying levels of privacy and security. So if you have a specific requirement in mind please contact us prior to ordering and we will provide you with some impartial advice. Alternatively you may also find the information you are looking for in the following pages. Unless the product description states otherwise all metal gates, fencing and railings are supplied as standard with a fitting pack. These include items such as hinges, a universal latch or a sliding latch (depending upon the design) and in the case of double gates a drop bolt. For customers interested in our range of wooden gates it is important to note that the hinges, fittings and accessories are not supplied as standard and must be purchased separately. Metal Gates, Fencing and Railings - All the widths displayed refer to the opening into which the item will fit. It does not refer to the physical width of the product so please do not confuse the 2 measurements when ordering as mistakes can prove costly especially with regards to made to measure sizes. For more information on selecting the correct size please refer to our measuring guide or read the page on how to select the correct gate size. Alternatively please feel free to contact us for assistance if you are unsure in any way. Wooden Gates - The sizes refer to the physical width of the gate or in the case of doubles the overall width of the pair when placed side by side. Unlike the above range of metal products we have made no allowance for the space you will need for the hinges and latch When calculating the size please note the opening width should be approx 1/2" larger than a single gate or in the case of double gates around 1 1/2" larger to ensure a proper fit. To keep the products looking their best, it is recommended that metal products are given a fresh coat of paint every 2 years. We also suggest that timber products be given a new coat of stain every 12 months. For more information on caring for the products please refer to the relevant pages below. Many of our wood drive gates and metal driveway gates are suitable for automation however some modification may be required so they work in a safe and proper manner. Please note that we do not sell automation kits as these are not really suitable for DIY installation. For more detailed information on this subject please read our "Hidden Dangers of Automated Gates" article. Where you are fixing the hinges and latch to an existing structure (such as 2 walls) then installation is suitable for any novice DIY enthusiast and can be completed in around 30 minutes. For more complex installations or where the addition of posts are required to provide an effective means of support you will need a little more competence. However, provided you work methodically there is no reason why the inexperienced person cannot achieve a professional result with the minimal of effort. Should you feel this may apply to your skill level please feel free to take a look at the following useful pages.